“I don’t see him as a threat. I think he’s only a threat to himself,” Trump told reporters at the White House on Friday. Press TV reports: Biden, who has long been touted as a serious rival for President Trump in the upcoming vote, stands accused of improper touching by several women, allegations that have seriously undermined his chances to run a presidential campaign. Two women have accused former US vice president of touching them inappropriately at events, bringing the total number of females who have complained publicly about the potential 2020 Democratic presidential candidate to four. 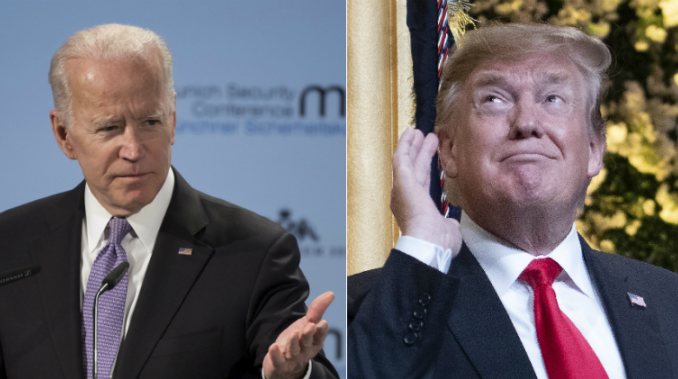 Trump on Thursday shared a doctored video that mocked Biden over the allegations. On Friday, the president defended the video, saying he believes people “got a kick” out of the video where an animated Biden was massaging the real Biden’s shoulders. He has also called Biden “weak, both mentally and physically,” after the Democrat said he would “beat the hell” out of him over respecting women. Next Next post: Did Democrat Rep. Eric Swalwell Just Hoax a Death Threat Against Himself?